Legends of the Australian underground hip hop scene for over a decade Visionz and Omega – two brothers who make up Soul Elixr – have, incredibly, never made an album together. Now off the back of three banging singles – ‘Rocksteady feat. Full Tote Odds’, ‘Rise Up’ and ‘Sometimes You Win feat. Brian Ruiz’ they present their debut LP Inside Out. Centred on releasing the inner ‘chains’ of the past and embracing the moment, whilst looking towards a brighter future, Inside Out is the result of two brothers coming together to make the music they’ve always wanted to make. As if to soundtrack a mental switch from negative to positive, steeped in emotion, the old school rugged hip hop sound is perfectly balanced with uplifting soul and funk influences. Proving that Hilltop Hoods aren’t the only staunch veterans of the thriving Adelaide hip hop community, these two have been freestyling and writing for fun since 1997, notably with Elemental Forces and Headstrong Company, the latter of whom released a record to immense underground success. Over the next few years MC Visionz took out the 2004 All City Battle championship while Omega honed his production and mixing skills, together releasing two albums with two separate crews, Elemental Forces and Headstrong Company, to critical underground success and burgeoning audiences in the thriving Adelaide hip hop scene. With a who’s who of hip hop inviting them on stage to support – Redman, Raekwon, Method Man, M.O.P, Brother Ali, Xzibit, Foreign Beggars, Delta, Staen 1, Percee P and Def Wish Cast (to name a few) – Visionz and Omega have well and truly established themselves as mainstays, going onto to collaborate with everyone from Social Change, Chris Bass, Mindfied, Battlehoggs, Joe Duigan, Traen, Bdeps and David L to Full Tote Odds, Debate, Ben Iota, Pohetikut, DJ Snair and Dj Sum1. 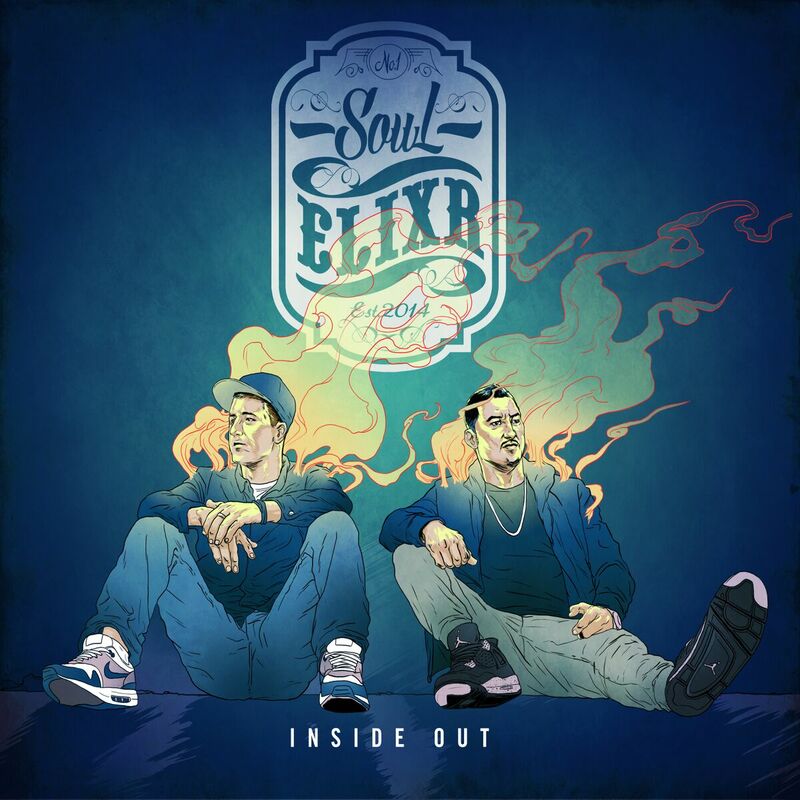 Bringing their buddies in for a few collabs on Inside Out, Soul Elixr have nonetheless keep the album a true showcase for their own fire skills. With Visionz and Omega both unleashing dexterous verses for their guest MCs and vocalists to run around, Omega’s production is a bedrock built of experience: beats and choice samples underpin the entire operation, with the brothers flawless and personal lyrics riding effortlessly. Crew-less, but not clueless, in better form than ever before, in 2011 the brothers decided it was time to reunite under one banner – Soul Elixr – to create a sound that has been maturing from a lifelong dedication to the music. Soul Elixr’s forthcoming debut album Inside Out will be released Fri 16 October, with distribution via MGM.